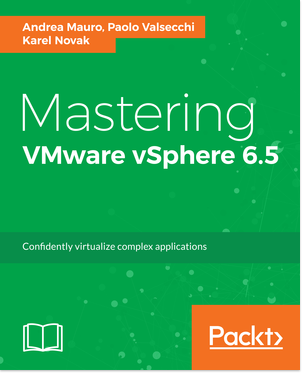 Reading Time: 3 minutes Also some months after the release the new vSphere 6.0, one of the main reason to don’t use in a production environment remain the compatibility aspect. If most of the VMware products it’s fine from this point, it isn’t the same for the 3rd part backup products. One month ago I’ve wrote a post Backup products and vSphere 6.0 compatibility were only few products were available. Now there are some changes in this list. Reading Time: 3 minutes Dell announced an expansion of its 13th generation PowerEdge servers, in the top line adding new four-socket servers to its portfolio. The new servers are: PowerEdge R930 (rack server), PowerEdge FC830 (for the FX converged platform), PowerEdge M830 (for the M1000e modular system) and PowerEdge M830P (for the VRTX converged system). The Dell’s servers porfolio also included several other solutions, for those are all the four-socket configuration for the new latest generation of products line. Reading Time: 10 minutes In the previous post I’ve describe what is 3CX Phone System and how install it. But the installation part is really easy and short because the most interesting part is the configuration. Compare to the installation flow, the 3CX Phone System configuration wizard is a little more complex (at least require that you think on what you are doing) but is better structured. The wizard will appear the first time you will walk you through a number of essential tasks that you need to do in order to get your system up and running. Reading Time: 3 minutes It’s not a secret that there are several changes in enterprise, not only in the infrastructure part, but also on how applications are developed and operated (for example with DevOps), how they’re architected (for example with micro-services apps), and how they’re deployed (for example with Docker and containers). The agility of (public) cloud and the possibility that offer brings new type of applications called “cloud-native” as they’re may or must re-designed for the mobile-cloud era. Those new type of application can completly change the future of enterprise IT and more faster that previous innovations. 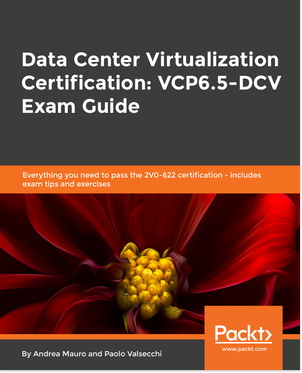 Reading Time: 2 minutes After the E2EVC 2014 Brussels and E2EVC 2014 Barcelona events, the next European E2EVC event (and the first one for 2015 year) will be in Berlin: The next Spring E2EVC Virtualization Conference in Europe in summer 2015 will take place in Novotel Berlin Mitte Hotel, Fischerinsel 12, 10179, Berlin, Germany. 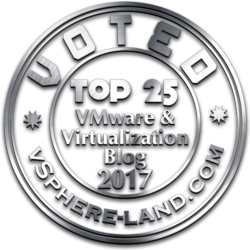 E2EVC Virtualization Conference is an independent, non-commercial, virtualization community event build from experts to experts. Started in 2003 with just 4 people and after 23 very successful events grown to awell-recognized event with over 140 attendees. Reading Time: 3 minutes Zadara Storage is a USA company (with a Research & Development Center in Israel) with a unique approach at the storage: their solution is an enterprise-class Storage-as-a-service (STaaS). The company’s as-a-service model offers enterprises, SMBs and startups a flexible, agile and cost-efficient storage infrastructure, available on-premises and through public cloud providers. There is a wide range of worldwide cloud and colocation providers, including value-added relationships with Amazon Web Services (AWS) and Microsoft Azure. And now available also through Cloudreach’s Cloud Platform offering. Reading Time: 7 minutes Ravello was founded in early 2011 with the sole purpose of changing the way companies, large and small consume the public cloud. Ravello’s Smart Labs have self-contained capsules to run your VMware/KVM development, test, training and demo environments in the cloud without migration. They are using AWS and Google as an underlying IaaS platform to offer IaaS services (and more) over that with really interesting costs and flexibility. But much important they are giving a powerful platform to manage your “applications” (that are similar as a vApp concept).